We all know that nature is a beautiful, awe-inspiring thing to experience. It can help us out of the darkest moments, and make us appreciate life around us. But we only get a few opportunities to truly do that week in and week out. Besides those times, we have to adhere to the boring old rules of society, work, eat and sleep! Many people out there are stuck when it comes to finding ways to experience the great outdoors. You could spend your hard-earned money on a luxury getaway to a place where the beauty of nature is right outside your front door, but surely there’s a better way? Kayaking! Kayaking is a fantastic way to explore nature in it’s untamed glory. There’s no better seat when looking to experience it then on a kayak, slowly floating down a beautiful narrow waterway. You can hear the birds whilst only being a few feet away, listen to the fountains trickling only yards away from your seat. However, though it’s easy to talk about how great kayaking is. But unless you are taught it from a very young age, it’s very hard to get into. There are a lot of things to note before stepping into a kayak, there are inherent dangers, along with tips and tricks that are going to make your experience enjoyable and fun. That’s what this guide is for, this guide is for those out there that are eager to start kayaking, but may not know the first thing about it! After all, you wouldn’t want to jump in a solo kayak, approach a string of rapid streams, and then think ‘I wish I had read a guide that would have helped me in this situation’. This, is that guide! We will run through some common questions and queries concerning the art of kayaking. We will link articles and other sources where necessary, and explain things in a simple and concise manner. After reading, you’ll feel a lot more confident in taking a narrow boat onto a body of water than you did before, and you’ll have a great time as well! Here we will explain what kayaking means in it’s most basic form. We will then move on to differentiate between different forms of kayaking, and also the different types of kayaks you can get. From this, you will begin to understand more about the context of kayaking and what it means to kayak. Kayaking as a normal verb, means ‘to travel in or use a kayak’. So, from this we can we can infer that a kayak is something you travel in, or use to travel somewhere. When we look at the definition of a kayak, we can see that it is a canoe-like boat, made of a light frame and a watertight covering. It also has a small hole, divot or compartment where someone can sit. From these two descriptions, the form of a kayak should already be becoming clear in your mind. You sit in it, your legs are covered by the watertight material and you travel on a number of types of water. The likening to a canoe that occurs in it’s definition should indicate to us that it is a thin, narrow boat. The kayak’s narrow body helps it to cut through the water quickly. The kayak is often equipped with a paddle of some kind. More often than not, this paddle is double-ended which allows for the kayaker to alternate the sides he is paddling. If the kayaker was paddling only on one side, they would find that their kayak would be going round in circles! A paddling force from both sides allows the kayak to move forward through the water. Paddling as a motion involves the kayaker putting their oar down into the water, twisting it so it stands vertical, and pulling the oar through the water. Though this motion is very hard, this is how momentum is built up, and momentum pushes the kayak through the water. Kayak Touring: This is a laidback form of kayaking. It allows you to take in nature’s beauty as you make your way through the water. This is probably the safest form of kayaking there is, and takes place in calm waters where scenery is the main focus. There is no race or competition, and the thrill simply comes from the journey itself. Kayak Surfing: This is quite an extreme form of kayaking; in which you use the surface area of your kayak to ride a big wave whilst paddling to stay where the momentum is. This obviously takes place nearby the seaside, and one can only do it if the waves and weather permit them to. It’s not a hugely popular form of kayaking as most people would just surf. White Water Kayaking: This is one of the most dangerous forms of kayaking as it involves bouncing down rough rivers and thinking quickly. It takes place where streams of water are especially intense and dangerous. Extra care is taken in White Water Kayaking to ensure safety. Sea Kayaking: This kayaking takes place in the sea and is usually done to explore caves and rocky areas around a coastline. This kayaking can get quite dangerous as you are dealing with the more intense parts of the ocean tide. You must find out the power of the waves before you head out onto them, or you’ll be in danger. Competitive Kayaking: This is where two or a group of kayakers compete against eachother, the way to win is to do as many tricks as you possibly can. This is often done in the same sort of areas that White Water Kayaking is done. The competitors must focus on a lot of things, namely: keeping themselves safe, traversing the course with ease, doing as many tricks as they can, getting to the end in a speedy amount of time. 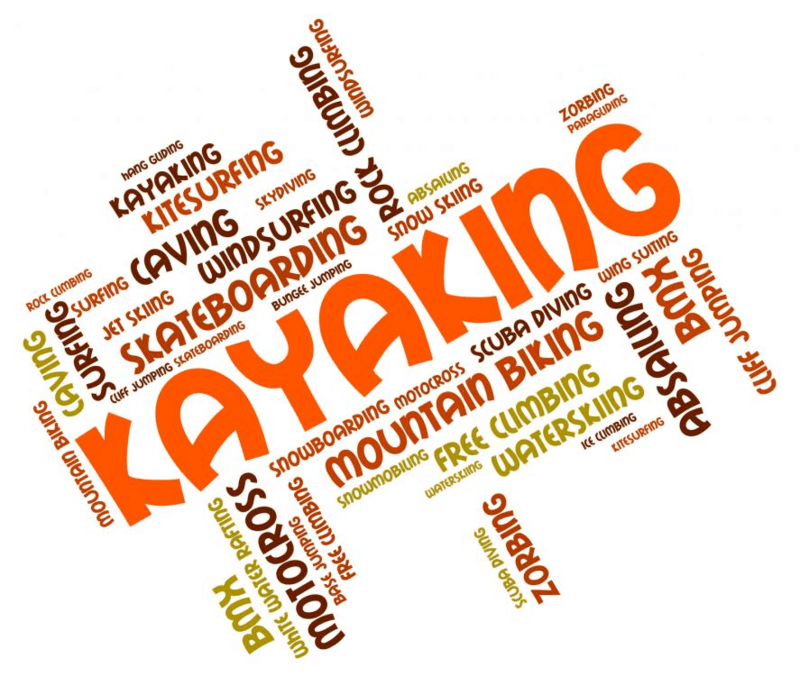 Now that you are aware that there are a number of different types of kayaking that you can take part in, it’s only right to let you know that there are also a multitude of different kayaks that you can purchase. Each one supports the user in a different way. Tandem kayaks: Though kayaking is often seen as quite a solitary activity, many like to take part in it together. Thankfully for them, there are kayaks made exclusively for those that like to bring someone with them on their travels. Tandem kayaks feature a second seat or hole in which another person can sit and paddle. But, with this being the case, they often weigh a lot more than normal kayaks. Folding kayaks: A lot of people who take part in kayaking don’t want to carry around a big, heavy kayak all of the time. Folding kayaks save the user time and effort when it comes to assembly. Usually made from flexible material and easily movable covering, these kayaks fold up to allow for packing away and transporting. These kayaks often weight quite a bit less than normal kayaks at around 30lbs as their frame is made from wood or aluminium to allow for easy folding. Inflatable kayaks: Another invention that tried to tackle the need for portability, inflatable kayaks work in a wholly different way to normal kayaks. They are made of a thick, flexible plastic and they need to be inflated to work. The kayak will not float on the water unless it is blown up fully. But when it is, it floats along the water as easy as any other sort of kayak would. Some of these inflatable kayaks are so light that they actually allow for storage in back packs and rucksacks. All one needs to do is deflate the kayak and roll it up tightly. This means that these kayaks weigh a whole lot less, usually under 20 lbs. In conclusion, there are many different types of kayak and also different types of kayaking. The most popular type, and also the best type for beginners, is kayak touring. This is because it is not competitive and is seen as a rewarding experience. Here we will explore who exactly invented the kayak and for what purpose. Having confirmed that, we will then go about understanding how the original design has changed over time and what purpose the craft now serves. Kayaking was invented by Inuits. 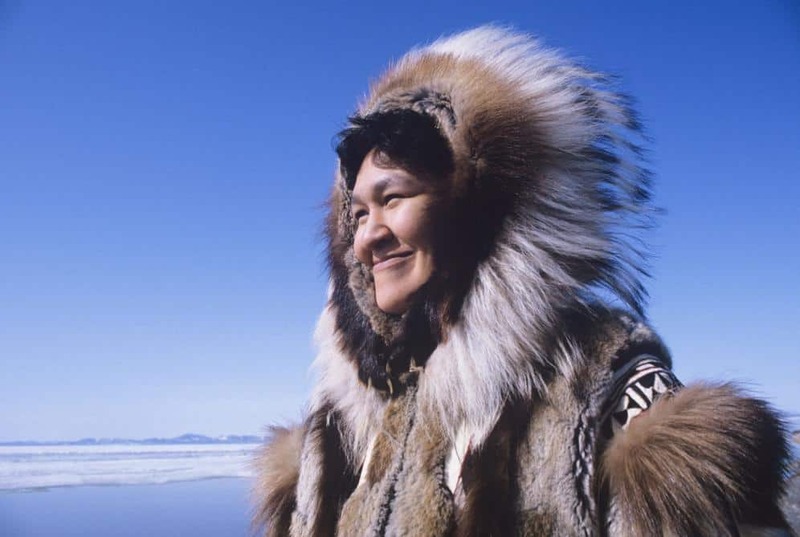 The Inuit people inhabited the Arctic regions of the world, namely Alaska, Canada and Greenland. It emerged from what is known as the Thule culture around 4000 years ago. Back in those times, they lived a life dedicated to survival despite the harsh elements. They lived in habitats they fashioned out of the resources around them, and hunted the animals that lived around them. This included Whales, Polar Bears and many types of fish. Being that this was their source of food, they needed a way of getting up close to these sea-dwelling animals. And so, they fashioned boats out of wood or whalebone, and covered that with sealskin to protect from the harsh cold of the water and ice. They left a whole in the middle so that they could sit in it comfortably. Being that there was only one hole to sit in, the kayak was solely used for hunting. The narrow boat that they made allowed them to access a plethora of food and wellbeing options. It also allowed them to travel to a certain extent as well, enabling them to explore and discover new places around them. This boat was such a good tool that it stood the test of time. European settlers adopted the systematics and measurements of the kayak, but replaced the cover with fabric for more durability. It didn’t see a huge amount of popularity as a recreational boat until John Macgregor came along. He was a patent lawyer living in London, and came up with the idea of a commercial kayak around the 1860’s. His idea? A craft that was built solely for the purpose of enjoyment. A craft that would allow the user to traverse rivers and streams, without needing to hunt or kill. He set off on an expedition using his new idea, and wrote the book ‘1000 miles in the Rob Roy Canoe’. Being that he was already a well-known travel writer, and a friend of authors of the day (Dickens and Stevenson to name a few), his book was a hit and sold 2000 copies in the first 5 days. Thought the sport of kayaking has changed since Macgregor came up with the idea of a recreational craft, the premise survives and is alive and well. 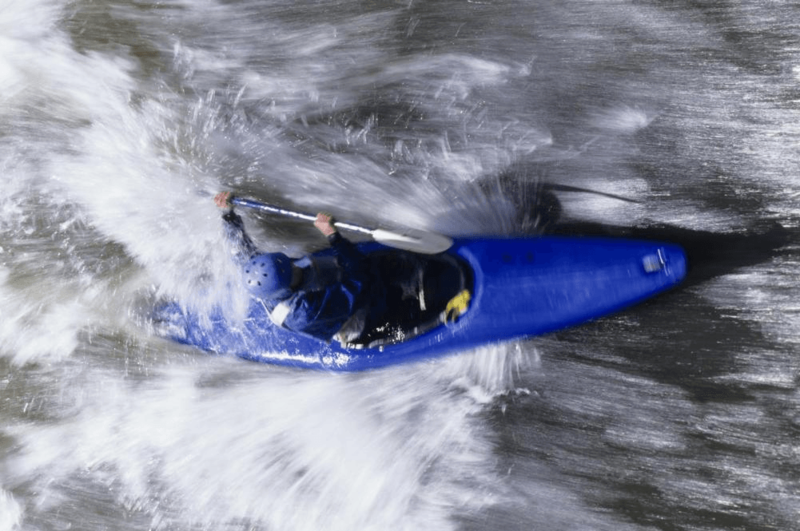 These days, more and more kayaking clubs are being set up, and there has been an influx of interest in the sport and the hobby. Rather than people seeing it as a pastime best left to the experts, they are now looking to get involved in it as a hobby and an escape from their working lives. In this chapter we will look at the basic rules of kayaking. These rules are set in place to keep the kayaker and the people around them safe at all times. Though there is no formal legislature describing the rules, most of the ones we will talk about are common knowledge for those that are kayakers. Being that we will talk about ‘Safety in kayaking’ a bit later in the guide, these rules span from things that assure security, to things that are just handy to remember. 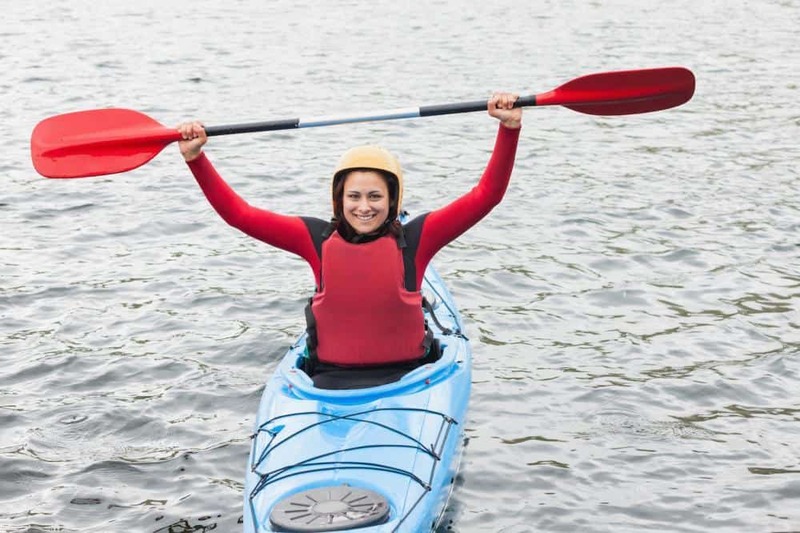 Although kayaking is a fun hobby and a great recreational sport, there are a few basic rules to follow in order for everyone involved to have a good time. Often there are a set of official rules enforced by local waterway services. For instance, the British Canoeing association provides rules and regulations for most of Great Britain’s waterways. You can find the general regulations for boating in California here. Whereas the rules for people looking to venture onto the waters of Alabama can look here. It is worth noting that when it comes to reading laws and regulations, the United States Coast Guard refers to kayaks as Vessels Under Oars. 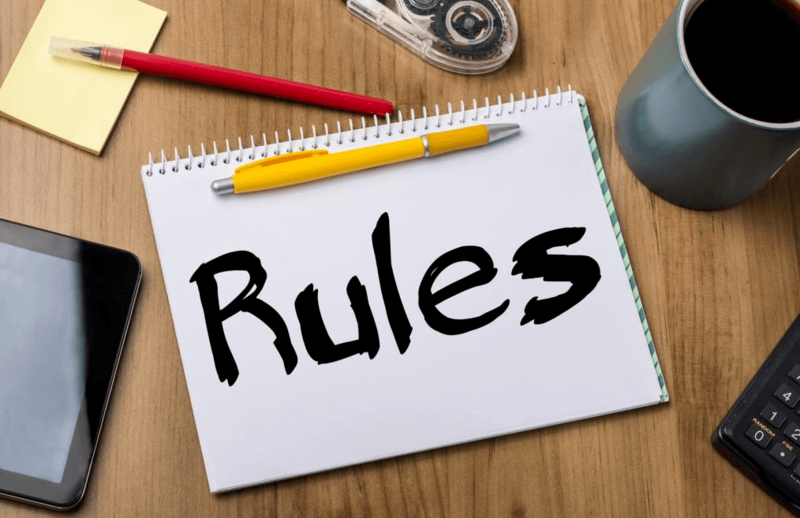 Our rules will attempt to highlight and give mention to the rules and regulations that spread across the myriad of different regulatory bodies there are, to ensure that it works as a general rulebook. This is probably the most general rule-of-thumb when it comes to kayaking. It’s all well and good being a great kayaker, but if you are rude or nasty to others around you, you are not following the rules correctly. Kayaking can cause anxiety and fear in some, from those in your boat, to those around you. If you bare this in mind when kayaking, you will always be able to remind yourself that some may not be as confident on the water as you. This means that you must be patient and respectful to each other. If you are rude to someone, you may ruin their kayaking experience. Worse still, you may cause them to act in a risqué fashion, endangering you, themselves and others around them. The best way to avoid any situation is to be patient, recreational kayaking is not a race. Remember to always remain aware of your surroundings, be focused on keeping yourself safe and ensuring the safety of those around you. When you get to grips with kayaking, in can be quite enticing to see it as an opportunity to do risky and dangerous things. Although pushing the boundaries of your own sense of safety maybe a great experience, you should never disobey local laws and legislations. More often than not, when you visit a stream or waterway, it will have a set of rules that are specific to it. These may include not going down a certain path or not getting out of your kayak at a specific place. You must obey these rules. If you choose to flout these rules and go somewhere that is strictly forbidden, you are endangering your own life. And the local authorities can not be held responsible for the consequences. Rules are in place not only to protect you, but also to protect the wonderful environment that you are travelling through. So, you are not only endangering yourself, but you are ruining everyone else’s experience too. This has somewhat already been touched on, but should be reiterated. When you go kayaking, you are entering into the eco-system of a range of different creatures. Though it may be our tendency to act somewhat selfishly, remember that the location you are in is home to animals that are fragile and probably curious or frightened about your being there. Human being’s effects on the marine environment are negative enough as it is, you need to make sure you are having a positive effect! Damaging, harming or abusing the environment or the animals around you is seen as a criminal offence in most jurisdictions. Even if you are being very careful, it often occurs that someone leaves their rubbish or a few possessions here and there as they discard them. This can damage and harm the eco-system you see around you. So treat your expedition as if you are stepping into a very old, expensive visiting house. That way you won’t leave a trace of you there, and it will be in the exact same condition when you come back. The amount of times that people get so excited to go kayaking that they do not think to plan their journey or their expedition. No matter how experienced you are in kayaking, you always need to plan ahead. If you don’t, you risk ruining your enjoyment and enjoyment of those you have with you. Make a checklist of all of the equipment you need to bring with you. Research the location you are to be kayaking in, making sure you know any local rules and regulations. Make sure everyone is aware of the itinerary and what is planned for the day’s activities. Make sure that you reassure anyone that is feeling nervous that everything is under control. Though kayaking is an exciting thing to be doing, it should not stop you from preparing adequately for your adventure. If you are out kayaking with a group of people, it is imperative that you communicate with each other at all times. Though kayaking can be a slow hobby, unpredictable things are just around the corner, so it’s up to you to always let your friends and teammates know where you are. As long as everyone knows where everyone else is, then safety is pretty much assured. In conclusion, the best thing to do in order to follow the rules is be respectful to others, and to the stream or waterway itself. Always communicate if you are confused or stuck and someone will be able to help you. What kayaking equipment is needed? Here we will suggest to you what equipment you need to bring in order to have a successful kayaking trip. We will give a simple list of equipment you should bring, with a short description of each item. The equipment you need to bring is dependent on what sort of kayaking you are doing, but this list should give a general, catch-all list of the items you need. You don’t just hop onto the water and set sail when kayaking! It is a complex and intricately designed hobby, with a myriad of tools and equipment needed in order to have fun. Though some of these things are optional, we advise you to think carefully about whether you need something or not. It is an unpredictable venture, and as such, you need to be over prepared. Here is our list of equipment that you need when going kayaking. It may sound silly, but you need to remember to bring a kayak! If it’s a full-scale one, you may forget to tie it to your car. You won’t have much luck getting onto the water without it! 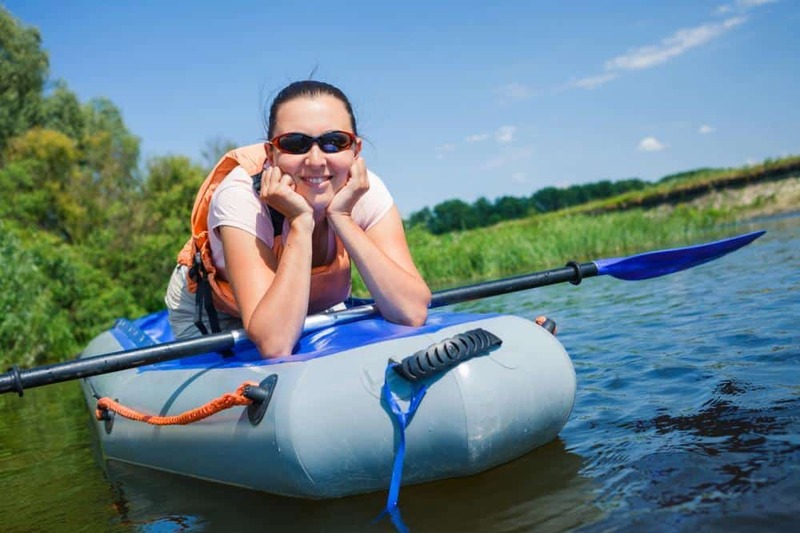 If you are in the midst of buying a kayak, make sure it suits your needs. 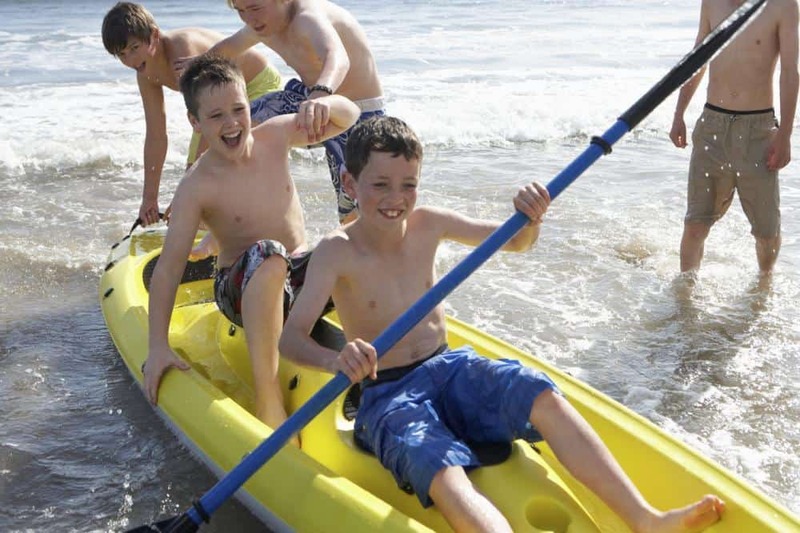 If you are just looking for a bit of fun for the family, maybe a foldable kayak is more appropriate for you. If you are looking to really get into the hobby, maybe you should look at the top-tier models to get something that matches your enthusiasm. The paddle is almost as important as the kayak! Without the pushing power of the paddle, the kayaker would just sit in the water motionless. When you prepare your kayak, make sure you also grab a paddle and store it alongside the craft. If you are using a tandem kayak, make sure you have a paddle for everyone. If someone is without a paddle, it’s just more weight for less people to push. This is a must. You must always remember to bring life jackets with you when going kayaking. You never know what is going to happen, and if you get into a bit of trouble, you don’t want to be struggling around in the water without a floatation device. 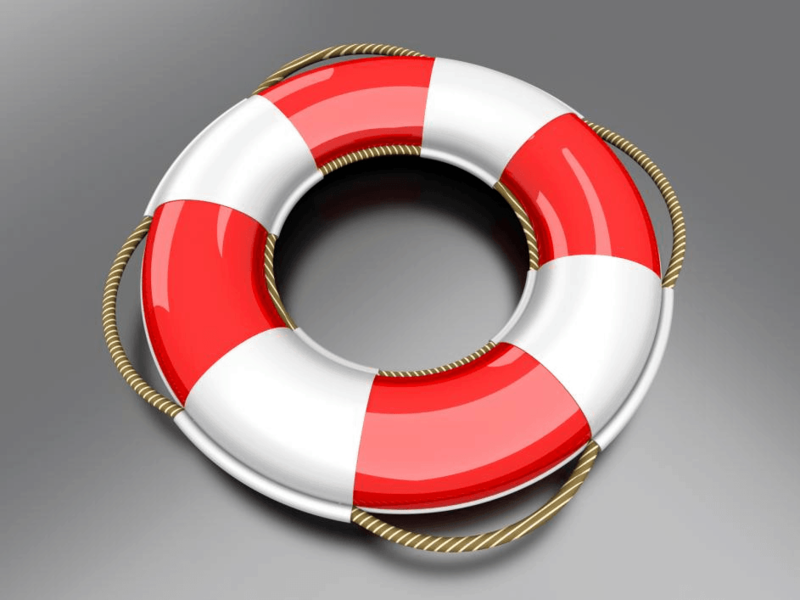 They help you to stay afloat, which will enable you to actively look for help and assistance. Also, don’t forget if there is more than one of you, you are going to need more than one lifejacket! Don’t forget you’ll need them for any kids and pets you are bringing too! It’s unlikely that you’ll have any sort of emergency when kayaking. But even so, you won’t to be prepared if one comes along. A first-aid kit is the best way to prepare for any eventuality. They are easily available online and are easily storable in any size craft. Hopefully you’ll never have to use it, but if you do get in an emergency you’ll be so glad your bought it. Kayaking is a draining hobby. All that paddling can really take it out of you, so make sure that you pack some food and water to sustain you whilst you’re out on the water. Nothing to revolutionary, simplicity will help when it comes to store it. It is also advisable not to bring alcohol on the trip. Most waterways have strict legislations against drinking while kayaking, and you don’t want heavy bottles and cans weighing you down. Bring water to assure hydration throughout. If you are in an emergency situation, you want to make sure that you have the appropriate tools to signal for help. If you are stuck somewhere, it can sometimes be extremely hard to call out for assistance. It may be that the water is too cold, or the place that you are stuck is extremely overgrown and unseen from a certain perspective. A signalling device also allows you to alert to your teammates where you are at all times. Even if you have checked the weather and its sunshine all day, warm clothes are always a useful thing to have stowed away when you go kayaking. The obvious benefit is that, if someone were to fall in the water, they can get changed quickly into clothes that are going to help them to stay warm. You also never know what type of weather may occur, you’d rather be keeping warm in your kayak whilst you see off the rain, then shivering in a t-shirt and shorts because you didn’t think! If you are plotting your way down a dangerous path, you may need to think about pitching up and sleeping somewhere in an emergency situation. Heaven forbid anything like that were to happen. But if it did, some sort of tent or shelter to sleep in until morning would be exactly what you needed. It doesn’t need to be complex or cost too much, just something to help you out of a sticky situation. If the place that you are kayaking in requires you to have a permit or a license, then you better have one! The best thing to do is to get it laminated, in order to protect it from water or damage of any kind. Keep it stowed away somewhere dry but easily accessible. You never know when you are going to come across someone that requires you to identify yourself, and show a valid pass that permits you to kayak safely. Cruising along on a boat all day can be very damaging to your skin, especially if the sun is shining! Make sure to pack sunscreen with an effective factor rating. Those who remember to put some on before they venture out always steer clear of being burnt. Be prepared and you won’t have to deal with any painful redness. In conclusion, try and bring as much equipment with you as you can. You never know what may be required, and it’s better to be safe than sorry. The best way to do this is to prepare way in advance. Here we will explain the dangers inherent in kayaking, and more importantly how to avoid them. It goes without saying that if you follow the rules laid down in Chapter 3, you’ll be almost on your way to being a safe and secure kayaker. But these dangers are more about how you practice the art of kayaking, and how you go about plotting your course over the water. Whenever one steps onto a body of water, there is a myriad of dangers to be aware of. There’s a reason you don’t see humans living underwater, and that’s because we don’t belong there! We need air to breathe, and as such, the water is a dangerous place for us. Kayaking involves quite a lot of equipment and a whole lot of focus as well, as there are dangers that come with it too. If one remains concentrating on the task at hand and follows this advice, they should be fine. No matter where you are in the world, severe weather is always an issue and an inherent danger. The weather can turn very quickly, and the atmosphere around you can become a hazard. If you are in a kayak or any sort of craft, you are not well protected from wind, rain or thunder. Not only is this the case, but you are not under your own volition, and need to get a place where you can move around freely to try and find cover. Being that you will be paddling and kayaking through some cold waters, the danger of hypothermia is quite a real one. Hypothermia happens when you are subject to cold waters for a long time. The low temperatures of the water bring your body temperature down considerably, and after a long time of this happening, your organs can begin to shut down. Though reaching this point is quite unlikely, it can cause breathing problems and extreme discomfort quite easily. Hypothermia is a very scary prospect, and can ruin a day out and also cause you health problems in a long-term sense. A lot of the waters you will be traversing through will be quite hard to see through. This means that you will be unable to make out certain objects and obstacles underwater. This is not really a problem when you are kayaking, but if you are guiding your kayak through the water while paddling you need to be aware of this. Undercut rocks are a big danger when white water rafting, these are rocks that can trap your foot or any part of you. If you become trapped underwater, it can be very hard for you to get out again. And you may find yourself being submerged, or just not being able to escape. This is mainly for those that are taking part in kayak surfing or white water kayaking. The sea is unpredictable, just because you can’t see someone else in your vicinity does not mean they are not there. Another ship can creep up on you in an instant, and this can cause you to lose your focus and balance. As much as you don’t want something like this to ruin your day out, you don’t want to ruin anyone else’s either. So seeing boats as a potential hazard is the only way to go about things. Not knowing exactly how to go about starting to kayak is perfectly natural, but can also be a danger. Whether it is you that is unsure of yourself, or those around you, confusion and ignorance can often lead to panic. But focus and patience can help you to stay safe. Make sure that you have a guide or a much more experienced partner with you. If you are nervous or unsure of your own kayaking ability, you need to make that known to those around you, so safeguards can be put in place. There’s no shame in being inexperienced, you will learn soon enough. Once you feel confident in the people around you, remember to always remain vigilant. Just because you are inexperienced, doesn’t mean that you can’t spot dangers or other things and report back to everyone else. You can be a really useful part of the team, as long as you remain focused and aware of your surroundings. Make sure that you help that person at any given opportunity. Bare in mind that they may struggle at certain points, and give them the benefit of your experience. Try not to lead them into dangerous, more complex situations and make sure they have a fun time kayaking so they do it more often. Ensure that they know what the plan is at every step of the way, so they can feel as though they are up-to-date with goings on and ready to help out. In conclusion, there are a lot of dangers when kayaking both in and outside of the boat. If you are aware and keep focused the whole time you should end up okay. The best way to tackle any danger is to stay prepared, and plan ahead of time to avoid being caught out by happenstance. We have just spoken about the inherent dangers when kayaking. Now we will go through those dangers, and suggest ways in which you can protect yourself from them. We will also discuss the safety of less able individuals that may have come along for the ride. Please follow these instructions as they may help you out of a dangerous situation. The best way to tackle severe weather is to plan ahead and bring warm and waterproof clothes. The thickness of the layers will help you to stay healthy and not fall ill due to the cold, and the waterproof element will stop you from getting soaked. If you see lightning or hear thunder whilst you are kayaking, the best thing to do is get out of your kayak and get to a safe place as soon as possible. If you are in your kayak in the event of a storm, you are quite badly exposed to the elements, which could spell danger. Do not get out and sit anywhere you’re not supposed to, just calmly make your way to the next available bit of dry land and get yourself onto it. From there, you can then think about how you will keep yourself dry. The best way to avoid hypothermia is to bring very warm clothes. If someone does have to get into the water, and finds themselves overcome by the coldness of it, get them wrapped up in warm clothes. This will slowly negate the effects of the cold water by making them feel warm again. As their body temperature rises, they will feel a lot better. Another way to avoid hypothermia is to not get out of the kayak unless absolutely necessary. Try your very best not to capsize, and if you do try and get out of the water as quickly as possible. Also check to see what the temperatures are for the day you set out to kayak. If it’s very cold, it may be a good idea to give the trip a miss and wait for a better day. The best way to avoid getting caught or hurt by things under the water is to stay out of the water as much as possible. Remember that the place you are plotting a course through is full of overgrowing nature, so you never know what might be underneath the water. It’s best not to feel too at home being submerged in the water and stay out of it where and when you can. When white water rafting, use your paddle as a good way of checking for sharp objects or hidden rocks. You can push past them using the paddle as well. The best way to deal with other boats is to be patient and focused. There are always going to be other people enjoying themselves on the water, so you need to factor that into your experience and not get angry or nervous just because they are there. Always be very clear about where you are and where you are going. This will give those around you the opportunity to get out of your way. Also, always try and be aware of your surroundings. If you are kayaking along and there is another person right beside you and you’re not aware of them, you are not a very good kayaker! Practicing an awareness of everyone means that you won’t get in anyone’s way and everyone will have a great time as well. As was said in the previous chapter, the best way to deal with inexperienced kayakers is patience. If you panic someone that is inexperienced into making a decision, it’s probably going to be the wrong one. But if you allow them time to make a decision, they will make the right one, have a lot of fun and probably want to come back and do it again as well! That way you are doing your job promoting the pastime, rather than being elitist and ruining it for people that aren’t on the same level as you. It is imperative that you ensure the safety and security of any child that is accompanying you. Firstly, if they are worried, nervous or upset by the prospect of kayaking, then you should not bring them with you as they might panic themselves into something more serious. Make sure that their safety equipment is well within their reach, and do not set off until they know every little bit of equipment they might need intimately. If they start to panic, calm them down as patiently as possible. If you can, quash their fears even before tending to any emergency situation. It is of the utmost importance that they feel safe when they are travelling with you. It is suggested you do not bring cats, gerbils or any other pets beside a dog with you. If you must bring a dog, make sure that they are extremely well trained. They will probably see a lot of things in the natural environment that may frighten or provoke them, yet they can’t do anything about it. Make sure they are placed safely in the craft and are not struggling to find a secure spot before you set off. Pack emergency equipment for them as well as yourself. In conclusion, for every danger there is out there on the water, there is a way to safeguard yourself against it. Do not head out onto the water unless you are sure that you have prepared yourself for any danger or eventuality. That way, you’ll have a much better time as your mind will be free to enjoy the exploration inherent in kayaking. In this chapter, we will cover where and how to attain kayaking lessons in order to boost your confidence and skills when taking to the water. We will also explain whether or not kayaking lessons are necessary for you, and whether or not you should think about looking for them. Kayaking lessons are tutorials, led by a fully qualified and experienced kayaker, in how to go about being the best kayaker you can be. Lessons are available for beginners all the way up to people that are almost qualified themselves. Lessons help to give you confidence in your own abilities, as you learn and train with fully qualified professionals. They impart wisdom and skills to you through their teaching methods and you are then able to practice those skills in your own time. The classes you would take part in would teach a range of skills, but here are some of them. This can be a precarious part of your kayaking adventure! Your teacher will take it upon themselves to teach you how to properly enter and exit your craft almost at the very beginning. What’s the point of learning how to kayak if you can’t get in it properly?! Paddling can be a very difficult part of the kayaking process. It is a necessity as it pushes you through the water and helps you to pick up momentum in order to make your way down the stream or waterway. Your teacher will impart to you the correct way to make your way through the water. This will enable you to become a strong kayaker, that is able to take on any stream they choose! As we have already learned, danger plays quite a big part in the kayaking experience. You never know what’s going to be down the stream, even if you have planned out your route. But your teacher will definitely equip you with the skills and focus needed to get out of any worrying situation safely and securely. It may sound like a simple task, but you are going to need to turn a lot of corners in your time kayaking so you need to know how! The streams that you’ll be making your way down have been built over millions of years by nature itself, so there is no telling which way it will go. You always have to be ready, and a tutor can help you to take control of your craft and steer it in the correct direction. These are just some of the things you’ll learn in kayaking lessons. The river is a harsh character, and it will often teach you things before you’ve even prepared to learn a lesson. But if you focus, you can achieve a lot. Do I need kayaking lessons? It really depends on who you are and how you feel about kayaking itself. For instance, if you are a full grown adult, with first aid training and experience in small watercrafts already, then you probably don’t need lessons. If you’ve ridden a speedboat before, but are unsure of paddle-driven boats, then lessons can help you to overcome your anxiety. If you have no prior experience on a body of water such as a stream, lessons can be the thing that really helps you to command the water underneath you. We very heavily suggest that if you are a child, you should get lessons. You will be able to take on more as you are at a younger age, and you could end up teaching lessons yourself if you get good enough at it. You also should take lessons if you are a child as it will calm your nerves that little bit more knowing you’ve been trained by a professional. How to find kayaking lessons? Finding kayaking lessons is easy. All you need to do is input the phrase ‘kayaking lessons’ into a search engine, followed by the area in which you are based. It should come up with the nearest ones available to you, and you can then make a decision whether or not you want to follow through with your decision. You can also ask down at your local leisure centre, as they might have some leaflets on a local club or group that engage in kayaking that you can join. In conclusion, kayaking lessons can teach you a lot about the systematics of kayaking. They can teach how to focus under pressure, how to enter and exit the kayak safely, and how to ensure you know how to make it down the course you are on. Though lessons are not mandatory, for some people they are the best option in learning how to kayak. You can find them by searching in a search engine where the nearest lessons to you are. Can you go kayaking when pregnant? In this chapter, we will briefly discuss whether or not you should go kayaking when you are pregnant. We will explain to you the negative aspects of a decision to kayak when pregnant, and reassure you as to what you can do if you are pregnant and don’t feel as though you can join in. Pregnancy is a fantastic, wonderful thing. You are welcoming a new life into the world and want to try and give it the best possible start you can. If it so happens that you are an avid kayaker, you may wonder as to how these two instances can coexist. The short answer is, there is nothing to stop you kayaking when you are pregnant. Though you should probably seek a doctor’s advice before stepping anywhere near the water. But, they might tell you that you are good to go in terms of your kayaking expeditions, and you can feel free to follow their advice. However, take on board these various points about how a kayaking trip whilst pregnant might go. Living for two: As you become more and more pregnant, you have to fend for two people, not just yourself. This means eating for two people, resting for two people and also maintaining a level of safety for two people too. All of these three things can be hindered by kayaking. Food will not be readily available, it is a long and arduous exercise, and it is also dangerous. If you go kayaking when you are pregnant you have to accept that you are potentially risking quite a lot. A weak link: Though going through pregnancy is an experience that would put any man to shame in terms of willpower, it must be admitted that it hinders you slightly. If you are heavily pregnant, do you think you would be able to be a helpful member of the team? Would you be able to get on and off the kayak without any trouble? Would you be able to act quickly and carefully? Would you be able to help steer and navigate the boat successfully? A lovely, but dangerous surprise: This is really only for those that are expecting very shortly. What if the situation were to arise, where you begin to give birth on the kayaking voyage? You are then putting the health of your baby at risk just because you wanted to go kayaking. And even if you and your newly born baby got out of the situation unscathed, was it really worth it to go anyway? Don’t fret! Just because you may not be able to get in the kayak too easily, does not mean you can’t be part of the winning team! Here are a few ways to stay involved even if you are pregnant. Route planner: You can help to plan the route that the kayakers take. This can be done from the comfort of one’s home and won’t take much effort besides a bit of brain power. You can help them steer clear of any forbidden paths or obstacles, ensuring that they have the safest time possible. Checklist: You can be in charge of checking that all of the equipment needed is packed. You can go round with a checklist and tick off once you’ve seen something. Just think, you’ll be the sole reason that the team remembered something absolutely imperative for their journey. Food and water: Make sure that the adventurers have adequate food and drink for their journey. If they don’t they risk dehydration or worse. If you make sure they pack something that is nutritious and replenishing, you are making sure you are a hugely helpful force. Kayaking is a fantastic recreational activity to take part in. It is (to sum up) traversing across a body of water using a narrow boat originally invented by the Inuit people thousands of years ago. It allows us to experience the spectacle of nature, work as a team with friends, and focus in order to get out of potentially dangerous situations. It requires us to take a mature and pragmatic approach to an adventure scenario. We must prepare for any eventuality, be it negative or positive. The benefits of kayaking to wide range of people are plentiful. It can act as an escape from a stationary lifestyle, in which one must sit and work in order to sustain their life. Kayaking can help sustain that other part of human survival, the thirst and hunger for new plains and exploration. Having said this there are many dangers one must face when deciding to go kayaking, being that you are entering a completely different environment to the one you are comfortable in. Nature is a beautiful thing, but also intimidating and unpredictable. However, this guide has shown, if the proper preparations are carried out, almost every safety risk can be dealt with relatively easily. Preparation also defends against a lack of judgement. You may find that it isn’t the best idea to bring your child or pet with you, and if you do bring them, you’ll know that you need to be incredibly savvy in order for them to have a safe and secure experience. It’s also important to understand whether you are ready to go kayaking or not. This does not just apply to those that are pregnant, but also those that are recovering from illness or are ill at the very time the opportunity arises. You need to really assess whether you are going to be able to help the team, or whether you will begin to hinder them as you are not physically up to the task. Kayaking is a teachable hobby, and tutors can impart a number of skills and tricks in order for you to excel in your abilities. Though this is the case, teaching is not mandatory, one can step onto a kayak without having had lessons beforehand. But it is the sole responsibility of the person whether or not they truly feel ready to set out having not had any prior training. Hopefully this guide will act as a great help to those of you who want to start kayaking! The most important thing is that you have fun! Kayaking is about exploring and improving wellbeing, remember this and don’t let any situation change that. Stay close to each other, communicate frequently, and prepare diligently as well. If you follow these rules, you will have an amazing kayaking experience, and will definitely want to do it again. Wow, such a comprehensive guide to kayaking; no doubt it took a lot of time to create. I’ve been a few times and it’s tons of fun. I especially enjoy the peace and quiet that comes with paddling on backwaters. Hi there! I simply wish to give an enormous thumbs up for the nice info you’ve right here on this post. I can be coming again to your weblog for extra soon.